Going through the breakup of a marriage is one of the most stressful experiences in life. Regardless of how long you were married, there will be numerous issues which must be attended to during your divorce, including the division of marital property and child custody arrangements. 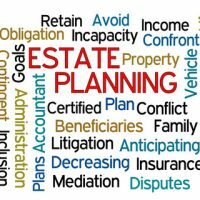 In the midst of all this, you will also want to consider any estate planning you previously put in place and how your divorce is likely to impact these arrangements. Power of attorney: This gives your spouse the ability to make financial or business decisions on your behalf and is one of the first things you will want to change. Health care proxy: Consider whether you want to name someone else to make important health care decisions on your behalf. Advance directives: Rather than relying on your spouse in an unexpected emergency, make sure your wishes are conveyed through documents such as a living will or Do Not Resuscitate (DNR) order. Estate administrator: If you counted on your spouse to be the administrator of your estate in the event you pass away, consider whether you want someone else to fill this important role. Beneficiary designations in your will: Under New York Probate Court rules, your spouse is legally entitled to a share of your estate. Retirement benefits: With benefits such as pension plans and 401k account, federal law automatically entitles your spouse to a 50 percent share. Life insurance proceeds: Depending on the type of life insurance policy you have and any automatic restraining orders in place during your divorce proceedings, you may have to wait for a final order before removing them as beneficiaries. While you wait to make these changes, you will want to thoroughly review any pre or post nuptial agreements you have in place. In some cases, these may require you to keep your spouse as a beneficiary on certain accounts. Depending on your divorce settlement, you may also be required to maintain a separate life insurance policy to ensure your spouse receives any alimony payments that are entitled to. Cavallo & Cavallo acts as a trusted legal resource on your side, making sure your interests and assets are protected. To get guidance regarding your particular situation, call or contact our New York estate planning attorneys online and request a consultation in our Bronx or New Rochelle office today.